I have been trying to love Pinterest, really I have but I just couldn't do it. I didn't understand why. I am a very visual person. It's a totally visual medium. Should be a match made in Heaven. I saw so many of my sweet friends loving it, making boards and pinning stuff left and right and here I was totally stressed out by it. "Oh well," I thought, "it's just not for me!" Then Sarah came along and suddenly it made sense. The reason I couldn't get into it... if I don't think there is a darn good chance that I'm going to use it, reference it, make it or purchase it in a reasonable amount of time, then to me, "pinning it on a board" just becomes visual clutter and being a visual person, excessive visual clutter stresses me out. You might say, "But it's virtual visual clutter, not actual visual clutter," and you'd be in right in your mind... just not in mine. (No comments about me not being in my right mind! : ) I am sure most people don't have this weird hang up. I figured... start with something easy. A recipe! Australian Crash Hot Potatoes. Here it is, on my Pinboard, and here it is in my kitchen! BTW... they were so incredibly amazing that my oldest asked to add them to his birthday menu plans at the end of this month. I tried to join pinterest and then realized I had to be linked to fb or twitter and decided I didn't want to do it that badly. I think it's for the better as all that eye candy tends to make me unsatisfied. Those potatoes look yummy! I'll have to find the recipe. I totally get it. 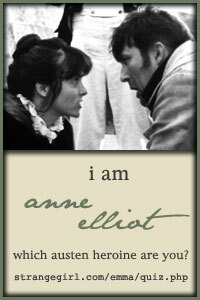 I am the same way as you, a very visual person, but I hate clutter. I think in my mind, blogging and emails is enough, to add more is just...clutter...Thanks for clearing it up for me, because I couldn't understand why I didn't like those things either! I am finding that I enjoyed Pintest more when I wasn't following a lot of people that I know or paying too much attention to what others were pinning. My own cousin was annoying me with her pins, how messed up is that? I totally understand the clutter stress. I have been wanting to make these potatoes forever, but haven't gotten around to it! Maybe later this week- yours look especially good. um, I think I could pin Pioneer Woman's entire site!!! These are going on my pinboard! 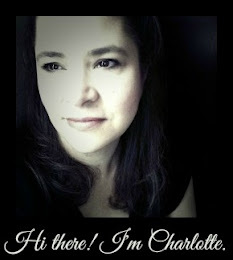 Charlotte~ I love food pins, because, well, we've got to cook, right? Love a new way to make potatoes. Oh those potatoes look wonderful. Going to have to try that. Thank you for sharing. I'm just not a very visual person at all so Pinterest hasn't caught my attention as something I'm interested in using. But I am kind of curious about observing it as the latest social media phenomenon. Ooooo those look so, so good. I'm going to have to pin them. Of course then I could eat the whole pan. Yum. I've decided the more I use Pinterest as a tool and less like a social vehicle the happier I am. Of course being social has never been my strong point. Thanks for the dinner idea. They were a hit. Though mine didn't come out exactly as pictured. The potatoes kind of fell apart and the pan was one big pile of fluffy potatoes. But the texture was awesome. On the smaller ones, I used a fork, not a potato masher. They didn't fall apart as much. Good idea. I'll try that next time, thank you. 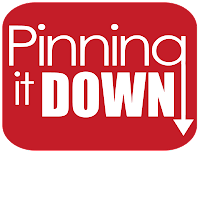 I have attempted "Pinning it Down" too, but after posting some photos of my kiddos with some alphabet projects we did, I wondered if I wanted just anyone to just repin and use the photos as they liked? Does anyone know about copyright for photos that people pin? I see that there are many photos taken off blogs etc. that have a copyright on the blog. I am curious on what you all think when it comes to others taking photos and pinning then with a different purpose or even similar purpose? I admit, I was concerned about that too since I don't want people using my pictures for profit either, but the way Pinterest works, nobody is taking your pictures and using them for a different purpose. What's being pinned is the link. Think of it as a cross between a personalized Google image search and a bookmark folder. When you do an image search, it brings up both copyrighted and non-copyrighted pictures. Clicking on those pictures takes you to the page where they are located. Pinterest allows you to choose an image from a page as a visual bookmark of that page and then let's you organize those bookmarks into categories. That's how I understand it. That looks delicious! I love using pinterest to organize my recipes - it's much neater than a bunch of papers lying around my kitchen!!! I have tried a few of the recipes I've pinned and have had mixed success, but I love the concept and will continue to use it. Looks yummy! I have a pinterest account but haven't brought myself to pin anything yet. I like the pinning it down idea. I have the same feelings as you do with Pinterest. Even with all my pins that I have. I'll pin a little and then back away from it for a week or so. The main problem for me is that there are SO MANY good ideas on Pinterest, itself. Most practical way I've found to use it is to pin things that I find around the web that I want to remember for later; like another bookmarking system, only visual.